In Fishing > Show & Tell. This is a spool of Gladding Braided Fishing Line from the 1940's. 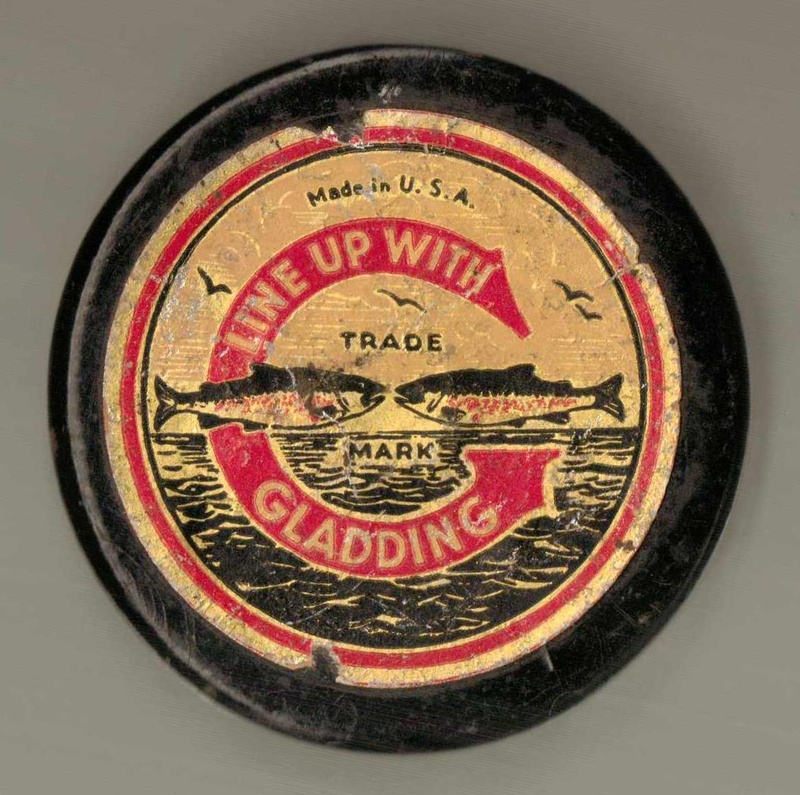 - The B.F. Gladding company was founded in 1816. 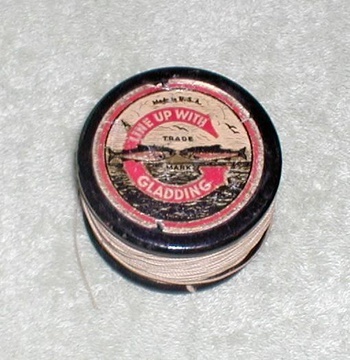 - The spool is wood painted black and only has the reverse label intact. This is braided line and I believe it is their coated silk "Invincible" brand and is almost a full spool. 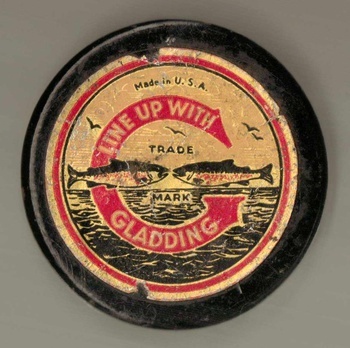 In 1946 they introduced plastic spools and wooden ones were not used after WWII.